It might seem strange to think that there is a noticeable German influence in Australia, but in fact, there has been a significant German presence in the island continent since the early days of European colonization in the nineteenth century. Waves of German immigration into Australia have paralleled historical events in the German-speaking parts of Europe. German immigrants to Australia have brought with them their language and many aspects of their culture, which over the years has become modified and merged into the broader Australian way of life. Why did Germans Come to Australia? The largest German waves of immigration into Australia took place in the middle to the late nineteenth century and again before the middle of the twentieth. Many came because of religious persecution at home or because of a thirst for exploration or a desire for economic improvement. Many of the first Germans in Australia settled in Melbourne and then expanded across Victoria and into South Australia, where they still remain as a significant cultural and linguistic presence in the Barossa Valley. Before and after the Second World War German Jews fled their homeland, as they did to many other parts of the world, escaping persecution. Migration from Germany to Australia of course stopped during the first and second world wars, and many Australians of German origin were interned during the Second World War, but as soon as the war ended a new wave of migrants arrived, the numbers gradually dropping as Germany itself recovered and developed into an economic powerhouse of its own. Many German recipes and food specialties made the passage down under with the migrants and their enjoyment has continued through to today. Blutwurst, Leberwurst, Mettwurst, and Weißwurst are all well known as well as sauerkraut and Streuselkuchen. Today, modern Germany has become an important economic partner of Australia and there are many German businesses that have a significant presence in the country. Over 100,000 Australian students are learning German as a language and a new wave of visitors are on the move in both directions. Young and older Australians regularly visit Germany as part of a wider visit to Europe, some of them staying and making Germany their home. At the same time, thousands of German tourists travel to Australia every year, over 200,000 alone from Germany last year! Germans are great travelers, partly because the German economy at home is relatively strong and even young Germans have sufficient cash to make long trips away from home as tertiary education is subsidized or provided free by the German government, freeing graduates from the worry of paying back a loan. Many younger Germans stay in Australia on working holiday visas; others come to Australia to study and still, others are just making a short trip to Australia to visit friends, relatives or as tourists. Germany is an important trading partner with Australia and many Germans these days earmark Australia as a destination for work, study, and travel as well as do business. It is a continuation of a long but not well-known tradition of German Australian connections that has endured since German migrants first made their way down under in the early phases of European colonization. There is a strong Australian German connection in several parts of Southern Australia, especially Victoria and South Australia. 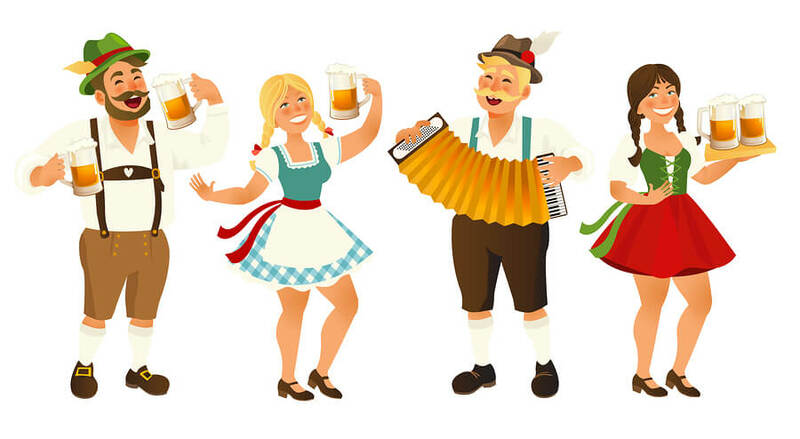 The best known German contribution to Australian culture is the wine growing region of the Barossa Valley where German traditions are still kept alive today, especially food and drink.